Posted: Saturday, September 10, 2016. 11:18 am CST. 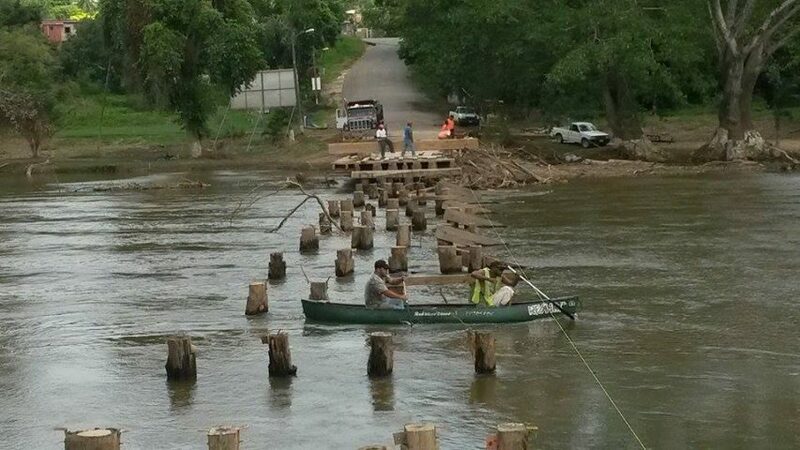 By BBN Staff: In the aftermath of Hurricane Earl, the middle section of the wooden bridge, that connects the twin towns of San Ignacio and Santa Elena, had been damaged by flooding, and the Ministry of Works had estimated a down time of 1 month for repairs. Breaking Belize News (BBN) had reported that up to the end of August the debris that washed up against the wooden bridge had not been cleared, and there was no sign or activity to indicate that any work was about to begin. (This article can be viewed at http://www.breakingbelizenews.com/2016/08/27/sign-repairs-lying-wooden-bridge-san-ignacio/). Residents of the twin towns were concerned as using only the Hawkesworth bridge causes traffic to be congested and is time consuming to cross over. BBN visited the low lying bridge and can confirm that repair work commenced on Thursday, 8th September. Mayor Earl Trapp had told BBN earlier this week that work on the low lying bridge was to commence shortly as it was paramount in keeping order for traffic within the twin towns. BBN also visited the area where the new bridge is being constructed and, contrary to reports, the temporary crossing at this site is only accessible to heavy duty trucks and equipment as it remains flooded at both access points. Construction of the new 2 lane bridge, however, is progressing well and is expected to be completed in March of next year. 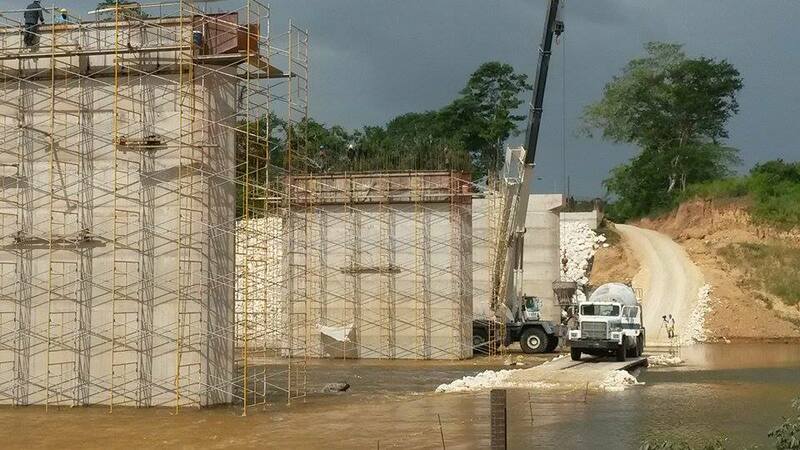 The new bridge, costing $19.96 million and funded by the Government of Belize (GOB) through a loan from the Caribbean Development Bank (CDB), is being constructed by Cisco Construction after they were awarded the contract on 30th June 2015. The earlier phases of this GOB/CDB funded San Ignacio/Santa Elena bypass have all been completed, and included construction of the Loma Luz roundabout and boulevard in Santa Elena and paving of the Joseph Andrews Drive in San Ignacio. At the end of the whole bypass project, Government estimates that some $60 million would have been invested.